Homewood Mountain Resort boasts some of, if not the best views in California’s entire Lake Tahoe region. Easily accessible from Interstate 80 and California Highway 89, the resort rises 1,650 vertical feet from the shores of beautiful Lake Tahoe to its 7,880’ summit elevation. The resort averages 450 inches of snowfall and 300 days of sunshine each year. 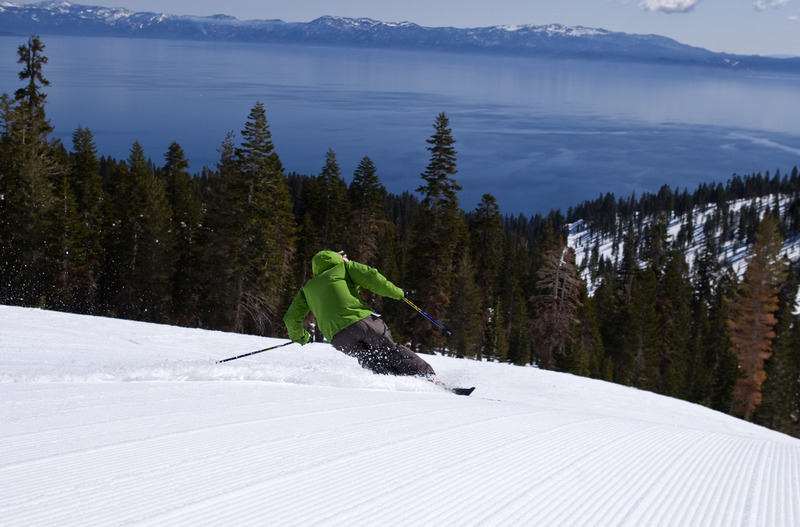 While there are beginner terrain options (15%) and advanced terrain (35%), skiers and snowboarders often come to enjoy an abundance of intermediate terrain (50% of the mountain) while taking in the views of crystal clear Lake Tahoe. Guests can also enjoy Homewood’s West Shore Café & Inn, with world class dining options in an intimate lakefront inn setting. Ski School offers private and group lessons as well as Mountain Guide Clinics. Rentals are available in the North Lodge. The Children's Center offers skiing lessons for kids aged 4 through 10, and snowboarding to kids 7 through 10. Children 10 and younger ski free when accomponied by an adult. Adults 62 and above ski as low as $10 a day. Skiing with value lift prices ($25 a day) from opening day up to Christmas day. Ten percent snowmaking.